Okay y’all, these Air Fryer Chicken Wings have just become my favorite chicken wing recipe of all time. Seriously! They look deep fried, they taste deep fried, but they are not deep fried. Nope. Instead, I made these chicken wings in my air fryer! 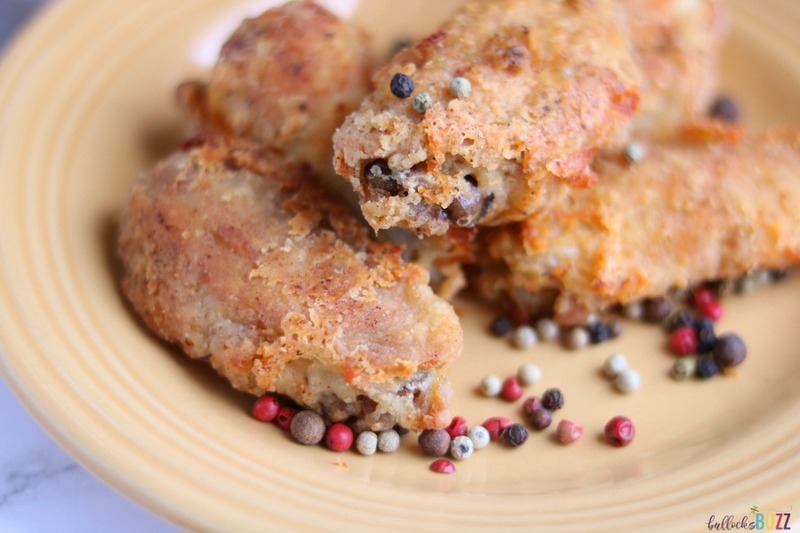 You get all of the delicious flavor of deep fried chicken wings, with a lot less oil. Trust me. 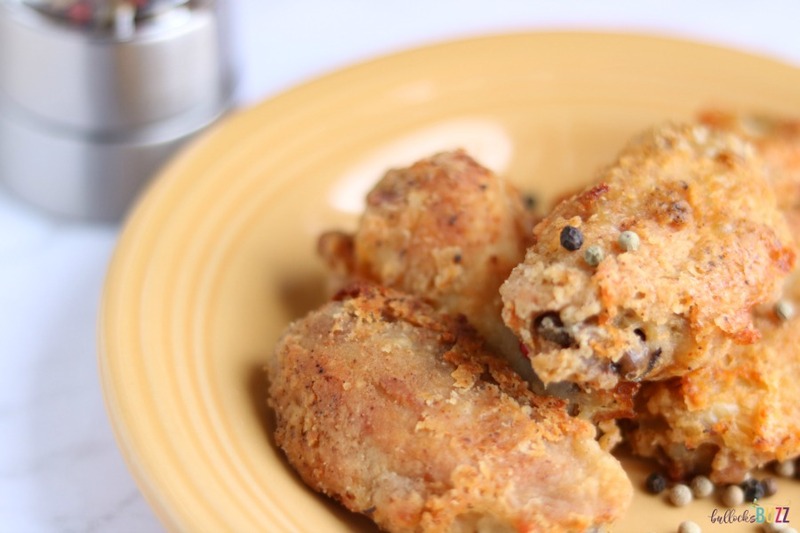 You are going to want to drop what you are doing, go to the store, get some chicken wings and make this amazing Air Fryer Chicken Wings with Crushed Peppercorn recipe! These air fried wings are so crispy on the outside, yet juicy and tender on the inside. Best of all, they take about 30 minutes to make! And you just can’t beat the fact that they’re more healthy than traditional fried wings because you’re using a lot less oil when air frying! 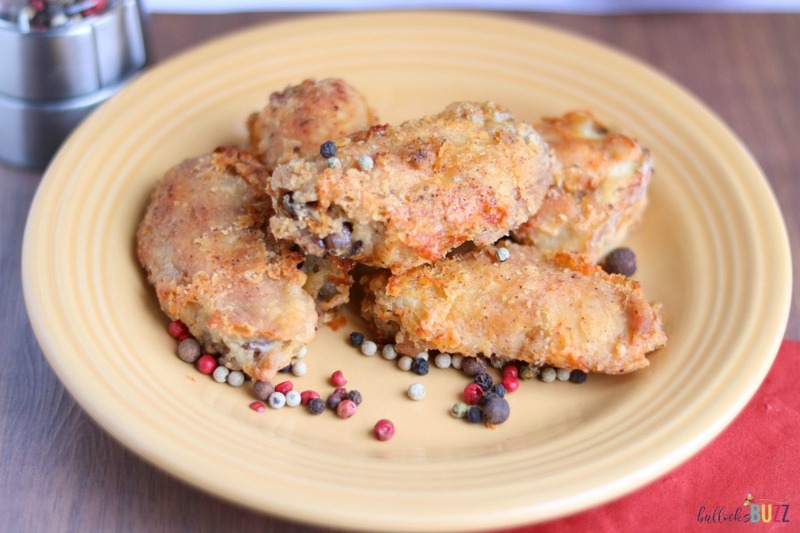 So, ready to see how to make these delectable Air Fryer fried chicken wings? Preheat your air fryer 400°. Prepare a pan or tray with parchment paper. Make sure the wings have been rinsed and patted dry. Then place them in a large bowl. Next, pour the oil over the wings and toss until lightly coated. In a separate bowl, add the flour, paprika, garlic powder, salt and 1/2 teaspoon of black peppercorn. Whisk until well combined. One at a time, thoroughly coat the wings with the dry mixture, then place on the parchment paper covered tray. I prefer to use tongs to handle mine so the breading doesn’t come off onto my fingers. Crack the remaining 1/4 teaspoon of peppercorns over the top of each wing. Now place the wings in the air fryer basket (depending on your air fryer size, you may need to divide wings and cook in batches). Cook the wings for about 30 to 35 minutes, making sure to open the basket 3 or 4 times during cooking to turn the wings with tongs. If your brand of air fryer requires more turning/shaking, go for it! Make sure each wing is crisp and dry. If there are any soft parts, let them cook just a little bit longer. The breading should be slightly browned and crispy once finished. Serve as is or with your favorite dipping sauce and enjoy! Be sure to pin this air fryer chicken wings recipe because this is one recipe you are not going to want to lose! 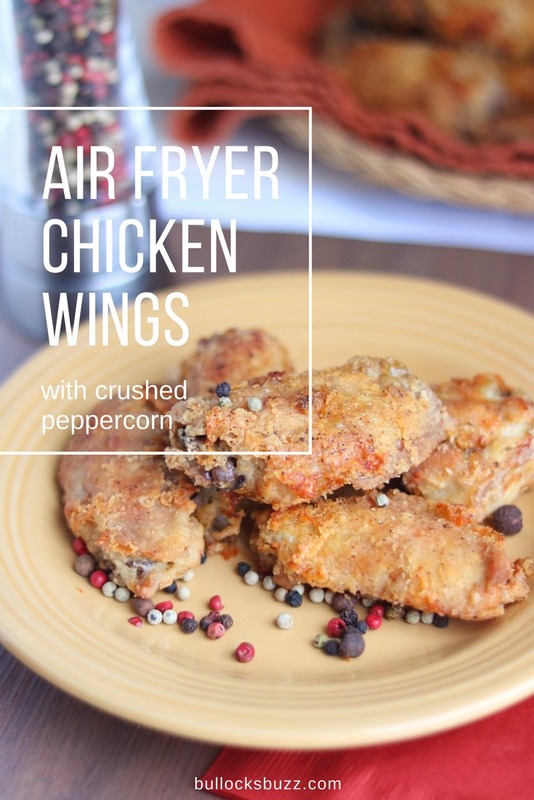 Below is the handy-dandy printable version of this air fryer recipe. Don’t have an air fryer? Why not?  They are so quick and easy to use, and you can make all kinds of delicious recipes! Check out the ones they have on Amazon. My person favorite is this one by Phillips, but there are tons more by other brands.